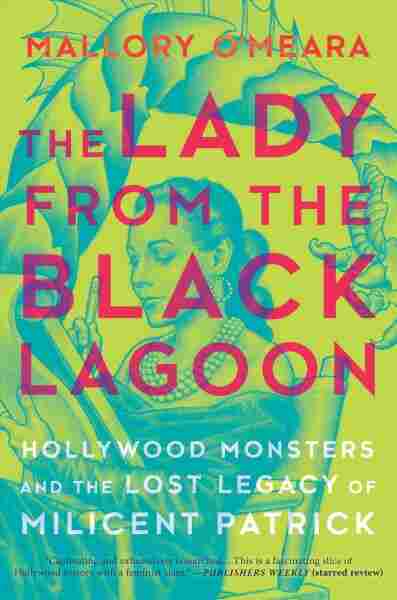 The Forgotten Career Of 'The Lady From The Black Lagoon,' Milicent Patrick A new book by Mallory O'Meara explores the life of artist Milicent Patrick, who worked on Fantasia and costumed a legendary Hollywood monster — and then ran afoul of misogyny in the workplace. Milicent Patrick poses in the Universal Studios monster shop with her most famous creation: the Creature from the Black Lagoon. The Creature from the Black Lagoon has reemerged from the deep, deep waters of history. The terrifying movie monster could both swim (in his lagoon) and walk on land. He had long claws, webbed hands and feet, scales and a dorsal fin. His round, fishy head had bulging eyes and layers of wavy gills. First captured on film in 1954, the elusive Creature — and Milicent Patrick, the woman who designed him — are now the focus of a new book: The Lady from the Black Lagoon. Ricou Browning was one of the two actors who got zipped into the creature's costume for the movie (he was the one who swam). "At first it was a little awkward," he says. "But I got used to it and got to where I could swim in it very easily." Browning, now 89 years old, doesn't know for sure who designed that costume. But he remembers meeting Milicent Patrick on set: once when she measured him for leotards, and once when he was in costume. "She was painting something on my chest with a paintbrush," Browning says. "She said, 'I'm giving it a touch-up.' I said, 'Well OK, but you better let it dry, I'm going in the water.' And that was the last I saw of her." More than 60 years later, Milicent Patrick reappears, with her Creature, as a tattoo on author Mallory O'Meara's forearm. "He's embracing her, which I kind of love, because it looks like he's saying, 'Thank you for creating me. Thank you, mom,'" O'Meara says. O'Meara, 28, is a horror, sci-fi and fantasy film producer. She tracked down the details of Patrick's life for her book, The Lady from the Black Lagoon. "She's the first woman I ever saw working on a monster movie," O'Meara says. "And she just became my hero because of that." Milicent Patrick was born Mildred Rossi in 1915. When she was 6, her family began living on the property of publisher William Randolph Hearst's Hearst Castle, in San Simeon, Calif., where her father Camille Rossi was the superintendent of construction. Years later, she spoke with an estate historian about growing up there in style: swimming pools, French pastry chefs, pet leopards and lions. She recalled Hearst as an enormous, frightening man who threw lavish parties with movie stars, and she said she changed her name to Milicent — the same as Hearst's wife (spelled Millicent). Over the years, she would add the last names of her various husbands. In Hollywood, Milicent Patrick had a few forgettable bit parts. In one Abbott and Costello flick, she was a dark-haired beauty. In the TV series Ramar of the Jungle, she played the "White Goddess" of an African tribe, welcoming outsiders in stilted English. Patrick was also a skilled visual artist. After attending art school, she became one of the first women animators at the Walt Disney Studios. Her pastel chalk artwork was featured in the 1940 movie Fantasia. "When you look at the 'Toccata and Fugue' sequence, it really is this abstract impressionistic suggestion of musical tones," says Mindy Johnson, an instructor at the California Institute of the Arts and an expert on the history of women animators. Johnson says Mildred Rossi — as the artist was known at Disney — also worked on the Fantasia sequence "A Night on Bald Mountain." There's a winged creature named Chernabog perched atop the mountain. "Walt [Disney] wanted this creature of darkness to be defeated by light," Johnson says. "As the [dawn] bell tolls, you see this blue pastel reflection of the light cross the body of Chernabog. And it's powerful. And it's actually, interestingly her first monster." 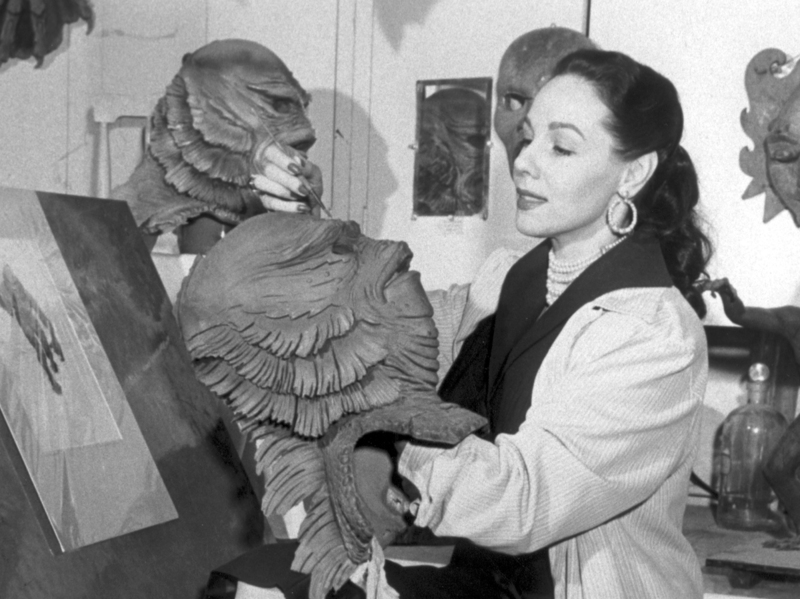 Patrick moved to Universal Studios to design special effects makeup and monsters, her most famous being the Creature from the Black Lagoon. O'Meara says at the time, Universal's publicity department sent Patrick on a promotional tour for the movie, originally billed as The Beauty Who Created the Beast. "Her boss at the Universal monster shop, a man named Bud Westmore, said, 'No, I don't want it to be The Beauty Who [Created] the Beast — we're going to rebrand it, and it'll be the beauty who lives with the beast,'" O'Meara says. "He said, 'OK, we'll do this tour, we'll send you all around the country, but you have to tell people I designed it. You cannot take credit for it.' Bud Westmore was so jealous of all of the attention she was getting that he fired her, and she came back to Los Angeles, and she never worked behind the scenes in Hollywood ever again." To back up this version of history, O'Meara found Universal Studios memos archived at the USC Cinematic Arts Library. Universal declined to comment to NPR about not acknowledging its first female monster designer, but the director of the Westmore Museum did tell us Bud Westmore supervised a woman who created the creature. And as the head of the studio's makeup department, it's his name on the movie's credits, as was the custom. "Having played so many creatures over so many years, I can tell you that that it takes a village to make a monster," says actor Doug Jones. He played the amphibian man in the Oscar-winning 2017 film The Shape of Water, Guillermo del Toro's homage to The Creature from the Black Lagoon. Jones says the crews of artists rarely get accolades. "Designers and creature creators and makeup artists are — you know, it's a tight circle of people," Jones says. "Legacies have been have been passed down from one generation to the next. And so for her name to never have come up until now is a travesty." Milicent Patrick Rossi Trent went on to life as a society lady in Los Angeles, and continued to sketch portraits. She died at age 82 in 1998. Nina Gregory edited the broadcast version of this story.